What Roofing Style Works Best for Victorian Homes? Home / Home Improvement / What Roofing Style Works Best for Victorian Homes? Even when juxtaposed with modern buildings, there’s still something to be said of the traditional Victorian style and its timeless look of classic elegance. Built between 1840 and 1900, the overall looks of these homes vary immensely depending on their location, but still share some basic design considerations that give them their unique charm. To help you find inspiration for your roof replacement, one of the top roofing contractors in the area, Quality Home Exteriors, explore roofing options for these classic American homes. Italian villas were the main concept reflected in the Italianate Victorian style. These homes are characterized by low-sloped roofing assemblies resting on extra long eaves. Your roofing choice here should give more focus on functionality over appeal as the low slope tends to hide the actual assembly out of sight. Despite this, you can expect most Italianate homes to use architectural shingles as a primary roofing material. Introduced by Norman Shaw, a Scottish architect, in the late 1800s, the Queen Anne sets itself apart from other Victorian styles with elaborate patios that encompass part or all of the home’s exterior. As far as choosing roofing companies go, this style offers much more flexibility in options. The higher pitch of the roof panels lends vulnerability to high winds, making Atlas® StormMaster® Slate and Shake viable options. Mansard roofing is the main point of differentiation between this style and Italianate homes. Double-pitched and with high, almost vertical panels, the Mansard style would benefit greatly from a roofing material that can complement its aesthetics. Briarwood Pro™ from Atlas offers high-definition colors that match Mansard homes perfectly. Its versatility also allows for easy installation of ridges and flashing from dormers commonly found in this style. 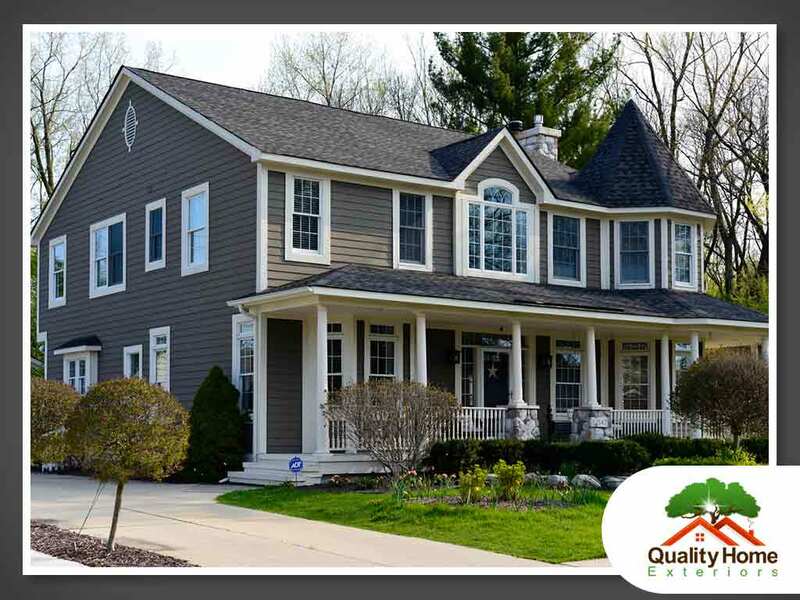 With over 20 years of expertise and experience, our roofing contractors at Quality Home Exteriors can help you find the right roof for your Victorian home. Call us today at (402) 401-4505 and ask about our residential roofing options. You can also fill out our contact form to schedule a visit. We serve clients in Lincoln and Omaha, NE, and Des Moines, IA.